Dr Schar Mini Os are a classic chocolate biscuit sandwich with a creamy filling but free from the horrors of gluten and wheat. 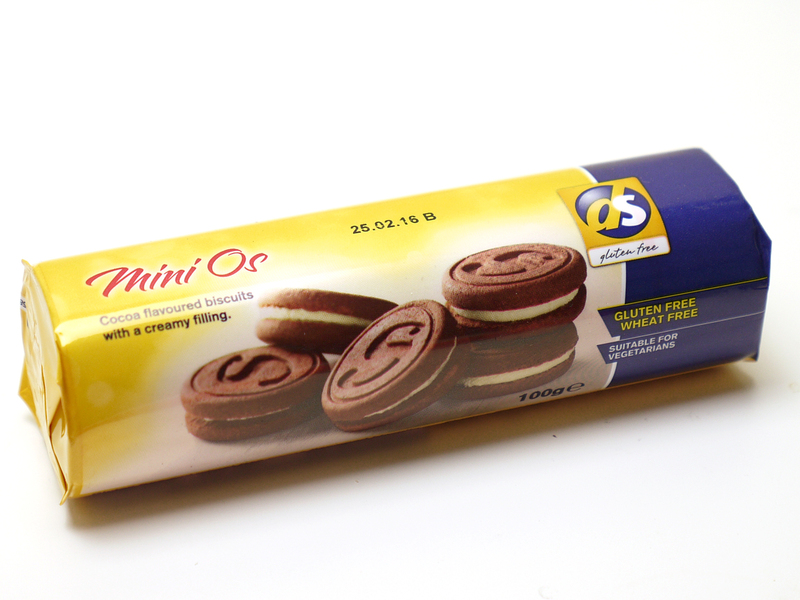 The “mini” part of the name is very accurate: these are tiny biscuits that come in a tiny pack. There are around 10 1.5in diameter biscuits per pack and I could quite easily eat the whole lot in on sitting. 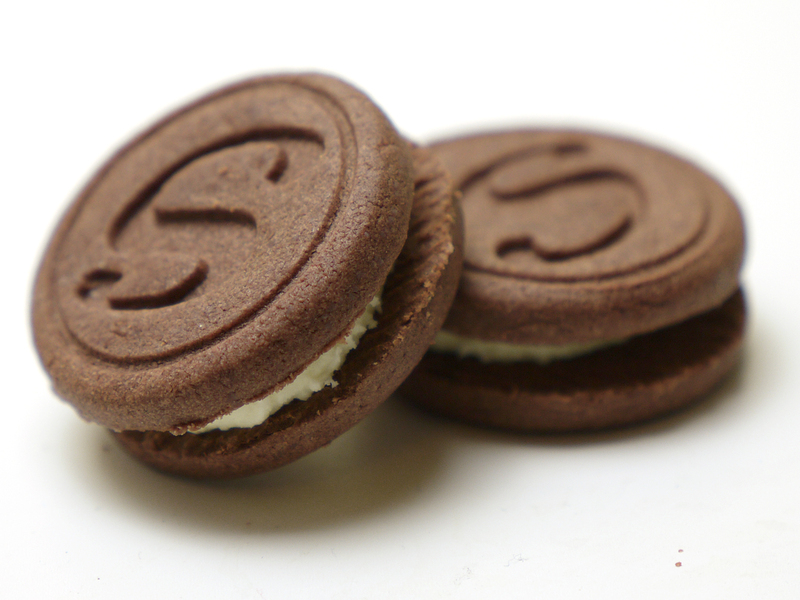 They’re not cheap either at around £1.50 – £2.00 per pack – about three times the price of normal biscuits. They also suffer from that most common of gluten free qualities: a dry, chalky mouth feel. It’s a shame as otherwise they’re reasonably tasty. The biscuit has a good bite to it and the overall chocolaty flavour is decent. I tended to find that when I was in the mood to not mind the chalkiness these were perfectly satisfying but other times I found it more irksome. Overall, it’s not a biscuit I’d make a beeline for but would buy if it was the only suitable option.